The multiple metal diaphragm design and Kel-F® seat are the key elements to the high purity success of these valves. They are available in a variety of styles and fitting configurations to meet virtually any application. 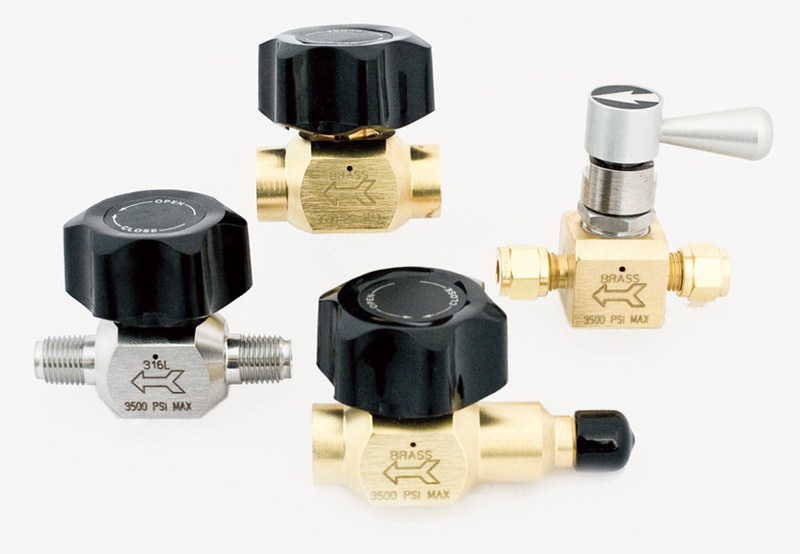 The 90° lever operated option provides the inherent benefits of a diaphragm packless valve with the quick open/close action and easily identifiable operational status of a lever actuated valve. Metal diaphragm packless construction for diffusion resistant operation. Capable of passing a helium leak-rate test to 10-10cc/sec. Available in multiple turn and 90° lever operated designs. The Series 8300 valves are recommended whenever the diffusion of atmospheric gases and moisture into a gas system is undesirable. They are a must in all ultra high purity gas transfer systems, particularly those used for gas chromatography carrier gases, samples, and calibration standards. * Other end connection configurations available on request.